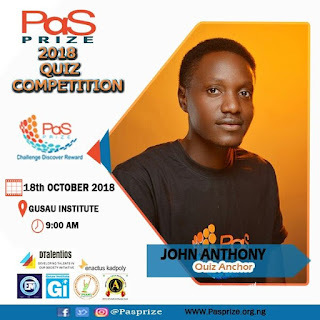 PaS Prize is an NGO founded by group of young people with a goal to improve learning outcomes for secondary school students in Kaduna and by rewarding excellence in education with Scholarships, Quality Educational Materials and other Motivational Packages. The competition is set to hold on Thursday 18th October, 2018 at the Exquisite Hall of Gusau Institute by 9am. 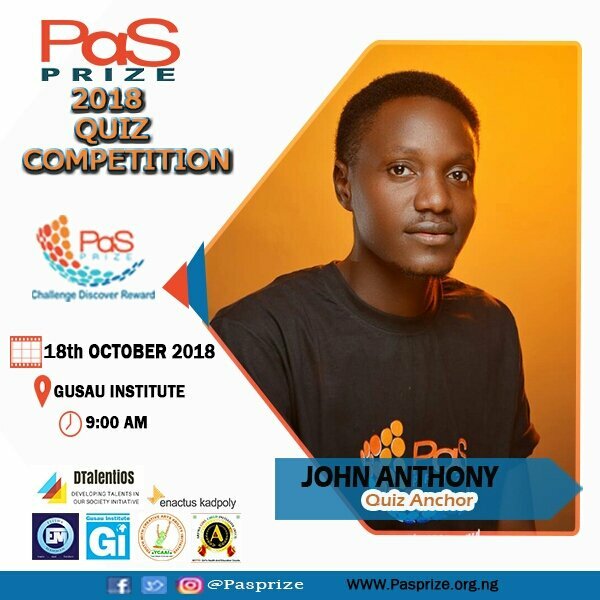 PaS Prize Quiz will be anchored by John Anthony. For more enquiries, follow PaS Prize via @pasprize on all social media platforms.